The four sicknesses “shikai” – is there a cure? I am sure Chris has asked because his intellectual curiosity has been roused and not because he wants an answer to cut and paste, so I will try my best. Surprise will happen when someone breaks your mental composure or kamae or both. If an opponent makes strong seme, either physically, or by showing a strong attacking spirit (kizeme), then you will be off-guard and they will have an opportunity to strike. An unexpected technique such as a katsugi waza may have the same effect. Fear – The obvious example is when you are drawn against someone in shiai who is either significantly higher grade or who has a serious record of success in major competition. If you are conscious of their superiority then you are as much defeated by your own fear as by the stronger opponent. Another example is if you frightened of losing, all your time will be spent on avoiding being hit and you will miss the chance to strike. Doubt – is perhaps the other side of the coin, if you are unsure of your ability or the effectiveness of your technique, then there is a tendency to not commit to an attack. Unless an attack is made with “full spirit” it is doomed to failure, therefore doubt has to be suspended. Hesitation too is about lack of commitment. If when you see a chance, you stop to think about the merits of attacking or not, the moment will have passed. The antidote is usually given as heijoshin which is often translated as “normal mind”, but it can be read as calm, constant mind, or unfettered mind. This does not mean clear of conscious thought as in mushin, which typifies the moment when you make a perfect strike without knowing that you have done so. Heijoshin means that your mind should run smoothly without fixating on your thoughts, therefore allowing you to react naturally to circumstances in the keiko or shiai as they occur. Despite my occasional banter with practitioners of Kendo’s close relation Iaido, I do sometimes feel a pang of jealousy. The reason for my envy is that if Iaidoka fail to achieve their objectives the fault is theirs. Whilst we talk about the “beating the inner opponent” in kendo, there is always someone at the other end of your shinai who might or might not behave the way you expect him or her to behave. This makes each and every keiko a one-off experience. In most competitive sports and games the eventual outcome is decided not so much by each player’s level of skill and experience, but more by the way they react to each other. This is why we often see situations where player “A” regularly beats “B” who beats “C” but “C” always beats “A”. Of course there are numerous elements involved; height, weight, timing, speed of reaction, level of confidence and pure gamesmanship, but it is normally a subtle combination of all of these that dictates the eventual outcome. In kendo it is not unusual to see friendly club shiai where a beginner gains a draw or even wins against a much more experience opponent. It would be good to think that this was for reasons related to the story of the tea master challenged to a duel by an unscrupulous ronin. He sought the advice of a kendo teacher on the best way to die. The swordsman asked him to make a final cup of tea and then told him to take the same mindless attitude when drawing his sword with the intention of achieving a glorious final ai-uchi. Instead of ending in death, the competition was abandoned when the ronin seeing the apparent mastery in the tea man’s quite confidence, begged to abandon the shiai. In reality it is possible that a senior player will have more difficulty with a comparative beginner than against a sixth or seventh dan. This is not because novices are stronger kendoka, but because they do not react in the way you would expect them to. They have not yet learned how to deal with seme, so do not go in the direction that you would expect when you push in. Maybe it is because they are still cutting in the timing of two; shinai which should have gone up and come down again, are still blocking their men when you attempt oji-waza. Whatever the reason, we should take nothing for granted, and at the end of the session, whoever wins, you at least have someone to go for a drink with. A number of kendo friends, obviously aware of the gaps in my education, occasionally lend or recommend interesting books to me. Over the years these have included a several publications devoted to the subject of the unconscious mind. Some time ago I was exposed to Malcolm Gladwell’s popular business psychology book “Blink” which proposes that snap judgments often have a more successful outcome than considered decisions. As someone who as my wife regularly reminds me, invariably acts before he thinks, I did not see anything unusual in Mr Gladwell’s thesis. 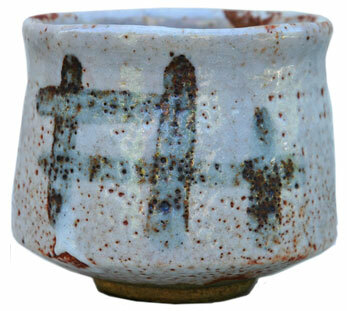 From a kendoka’s perspective Gallwey’s ideas are far from earth-shattering. In kendo we accept that the inner game is a fundamental part of our shugyo. In fact it could be said that we use kendo’s outer game as a path to reach our inner goals. The obstacles mentioned in the above quote are frighteningly close to the kendo shikai, (four sicknesses) of surpise, fear, doubt and confusion – kyo-ku-gi-waku. 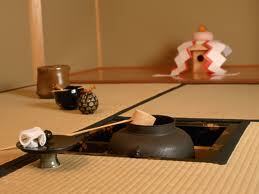 The similarities between Gallwey’s book and kendo’s Zen roots are not coincidental. He goes as far as to quote Daisetsu Suzuki on Eugene Herigel’s thoughts in “Zen in the Art of Archery”. This is not a criticism of “The Inner Game”. There are some very positive ideas to be taken from the book. To summarise, the writer proposes that over analysis and criticism have a negative effect on performance whereas demonstration and repetition of correct technique and a less analytical approach lend themselves to a more positive outcome. 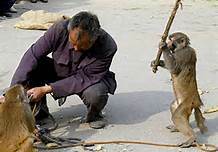 Reflecting on the traditional approach to kendo instruction where the instructor shows you how to do a technique and you continue to practise until you get it right, Mr Gallwey’s book pretty much tells us what we have always known “monkey see monkey do”. It works every time. 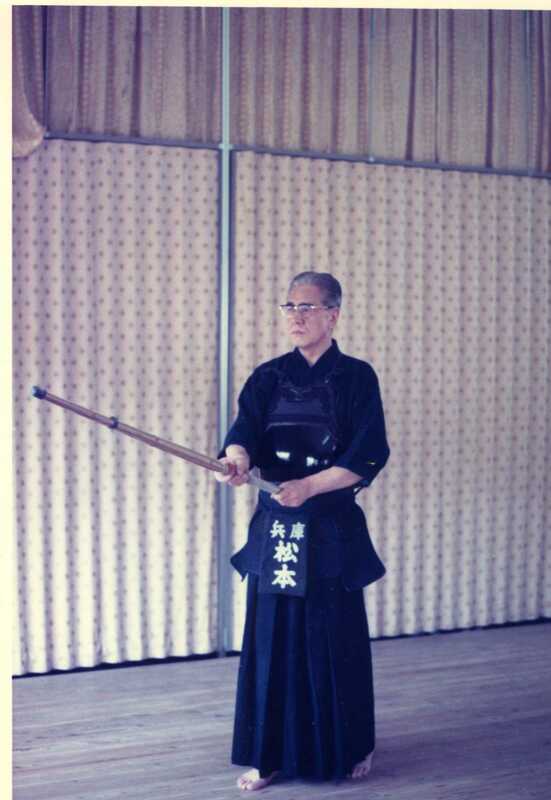 The Aim of Kendo – by Matsumoto Toshio, Hanshi Kyudan. This document was written in Japanese by Matsumoto Toshio sensei and translated in 1976 by Yamamoto Hisami. The original translation was for my benefit; and at the time Matsumoto sensei was not satisfied that the document was of a high enough standard to put his name to. Unfortunately neither the author nor the original translator are with us today; and feeling that this document is worth sharing with other kendo enthusiasts, I have taken the liberty of rewriting it in more colloquial English. Any errors and inconsistencies are mine. The aim of swordsmanship in ancient days was to overcome opponents through the application of sword techniques and physical power, but this has changed with the progression of time. Even so, kendo was born from the art of fighting with swords and even though today it is played with bamboo swords, it cannot be said to be kendo if it is practised without the concept of being a fight with real swords. You must train for kendo with the understanding that if you cannot cut your opponent, he is going to cut you. In other words, in its essence, kendo must be practised with the extreme instability of mind that would occur if you were facing life or death. There is no doubt that the art of kendo is to strike down your opponents and not to be struck down by them. However, in order to be always ready to give an instant strike without missing any proper chances to attack whilst still keeping a perfect defence position, you must master the techniques and skills of kendo. These however, can only be well performed when you maintain a calmness of mind which enables you to fully display your trained technique. 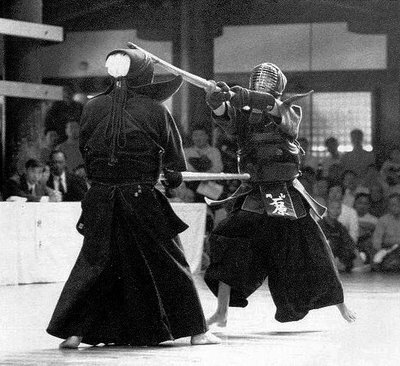 Therefore, it is the true aim of kendo practise not only to try to improve your technique, but also to train your mind and spirit to find the rightness of mind (“no mind” / mushin), so that your mind, which is the source of the technique; will not be bound by anything. These are again times when your opponent is off-guard. In kendo there are four mental states that must be overcome. These are dread, fright, doubt and perplexity – all of which are disturbed states of mind. When your mind is disturbed, your posture is also disturbed leaving you off-guard and allowing your opponent the chance to attack. Unless you are constantly in full spirit, keeping your mind calm and open you cannot instantly strike your opponent off-guard, even when his spirit is no longer alert. If your mind is innocent (free of preconception), you can see through all your opponents actions and strike freely without any hesitation, catching every available chance. When reflecting on a keiko or shiai, one sometimes realises that he has unconsciously made a very fine strike, although such experiences are rare. It is because the perpetrator was in full spirit and “innocent”, enabling an unintended and unaware strike. You must make every effort to increase these opportunities. As stated above, the ultimate way of learning kendo is, both in attack and in defence, is to have a constant ordinary state of mind through the theory of the way of kendo. I believe that it is a virtue of kendo to bring to our social lives this developed ordinary mind, rich and level without egotistic interest and emotional influences. Making best use of such an attitude, you will be able to take good advice from other people and clearly differentiate right and wrong, allowing for effective conduct in your job and at the same time working towards self perfection. Many years ago I naively asked an elderly Japanese sensei “what is the difference between debana men and degashira men”. I was told that “it depended on whether your opponent had a big nose or a big forehead”. Logical really, when you consider that debana refers to the forward movement of your opponents nose and degashira the same for the front of the head. Whatever the terminology, debana men is the “holy grail” of kendo. It is the most desirable waza to display in high dan grading examinations and enbu. In my view, the reason why it is such a special technique is that it requires the ability to attack instantly, without conscious thought in the spirit of “mushin”. To effectively achieve debana men, your preparation needs to be perfect. You must be in your own issoku ito ma, have a feeling of pressure between your kisaki and your opponent’s, have your left heel off the ground and a 60:40 distribution of weight between your left and right foot. As soon as your opponent starts his attack, you should push forward from your left foot and strike in the “timing of one“. Effectively, you are making the down stroke whilst your opponent is starting his upward raise. This is clearly a technique that calls for repeated practice. One simple drill for this, is working with a partner, move into issoku ito mai. Both hold the strongest chudan that you can and build up a feeling of pressure. Ensure that your feet are in correct kendo position and that the left heel is up and the weight balance is as described. Motodachi should wait until the feeling of pressure between you is palpable and then quickly lean slightly forward whilst lifting the shinai to the right and moving the right foot forward by just a few centimetres. As soon as he does this kakarite should attack men instantly. I include this drill in most kihon sessions and although it encourages small men strikes, it can be taught at most levels as long as big kihon men is practised in the same session for more junior kendoka. I believe that it is worth doing this on a regular, ongoing basis. It is worth sweating over to achieve the “wow! Did I do that” feeling when you make debana men is shiai or keiko.